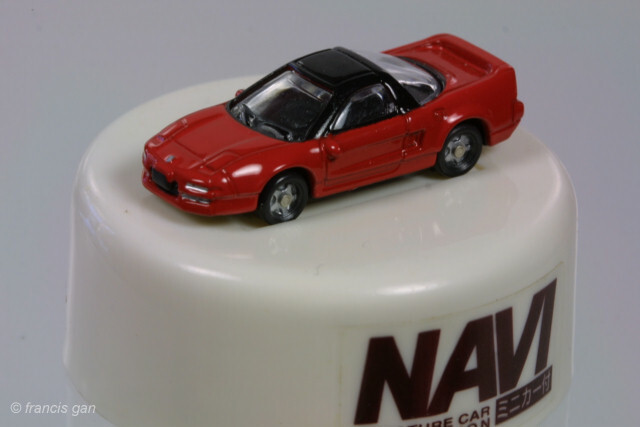 Dydo release the Honda NSX (RHD) in miniature 1:100 scale packaged in 2" diameter white pucks. 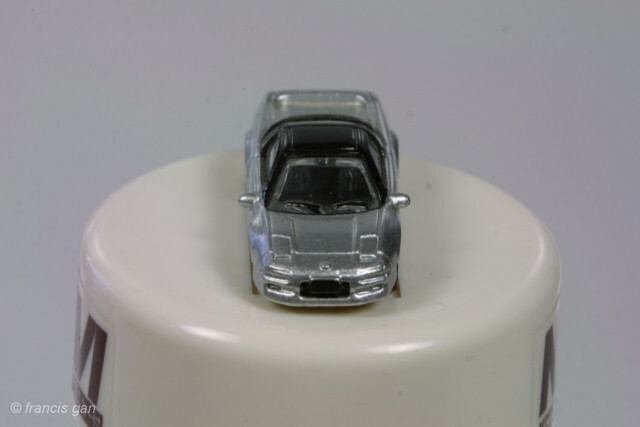 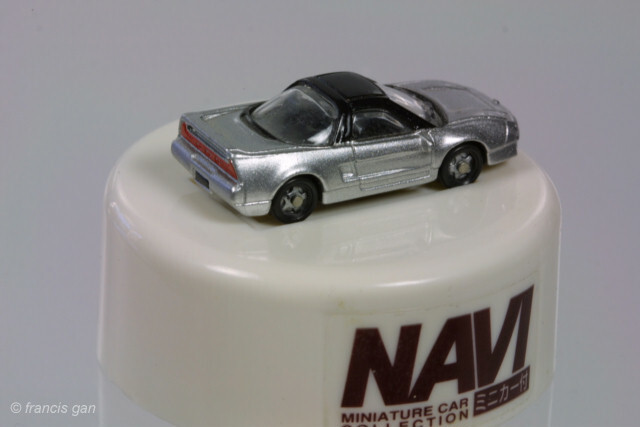 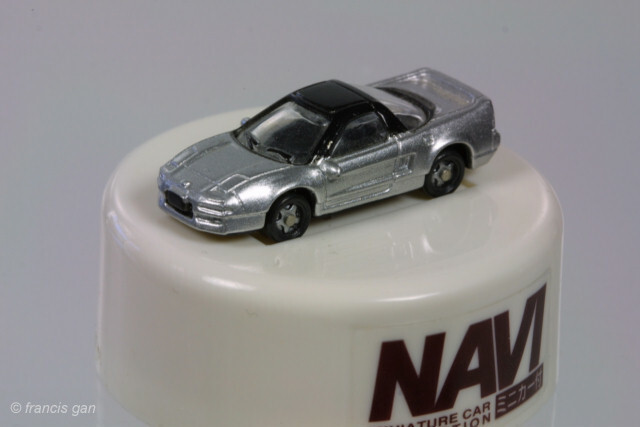 The diecast NSX's were available in Sebring Silver and Formula Red - both with black roofs. 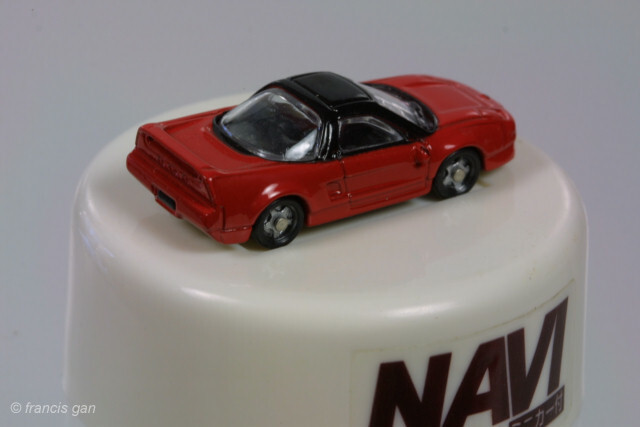 Even at such a small scale, the interiors in black are recognizable to be replicas of the actual NSX cockpit. 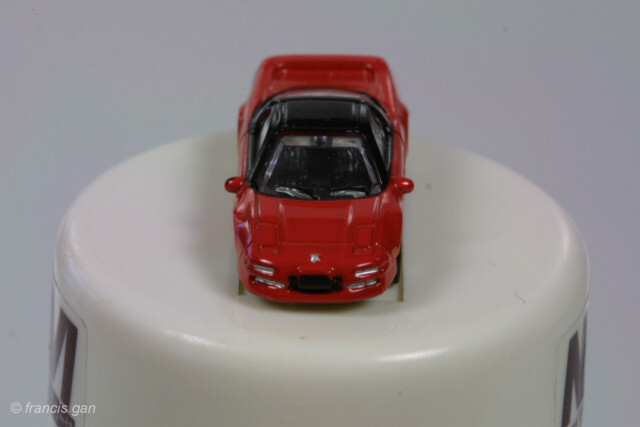 On the red model, the details such as front emblem, front bumper lights and front fog lamps were detailed in silver. 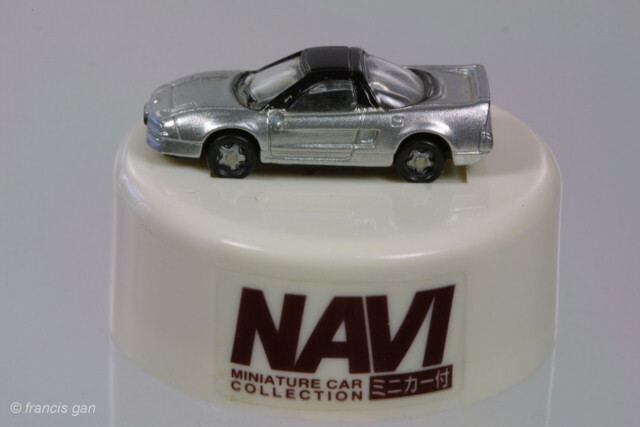 On both the silver and the red models, the front grille and license plates were finished in matte black. 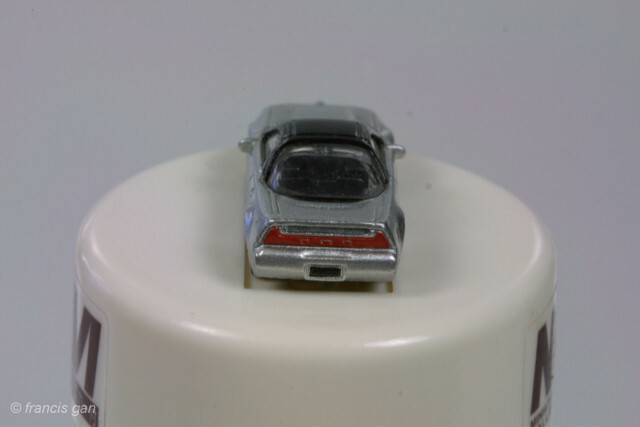 On the silver model, the tail lights were finished in red. 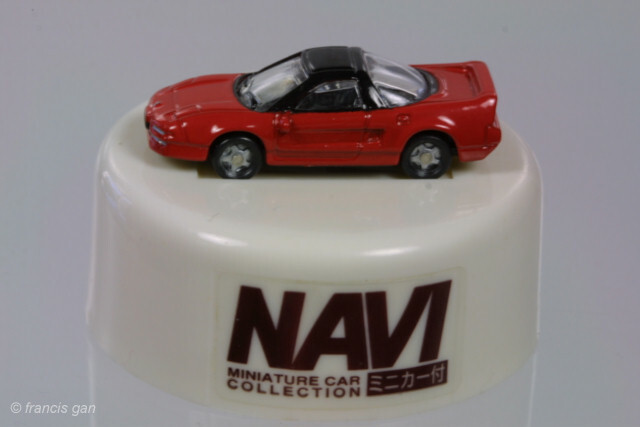 The wheels are 5-spoke wheels. 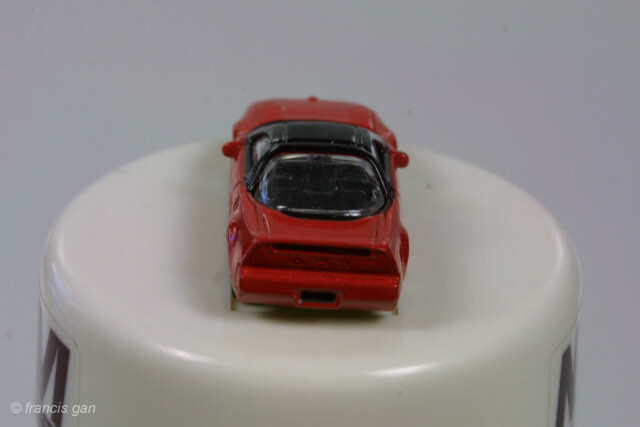 Even the side mirrors were not left out and are part of the body casting. 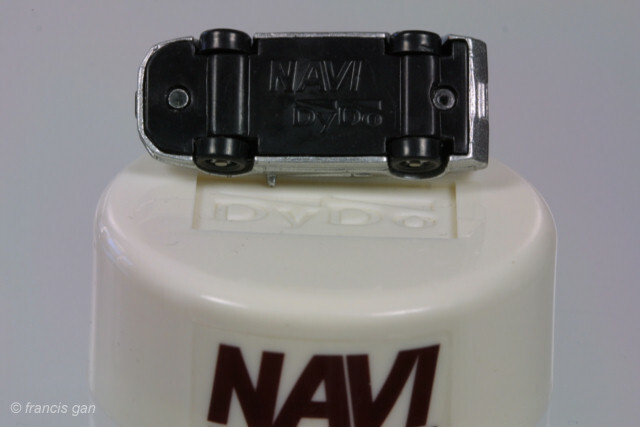 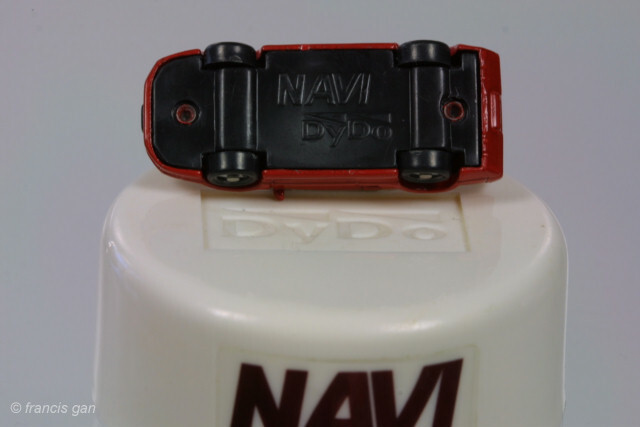 However, there is no undercarriage detail except for Dydo Navi casted on the bottom.